Cats in Bloomington IL need regular care from their veterinarian in order to thrive. 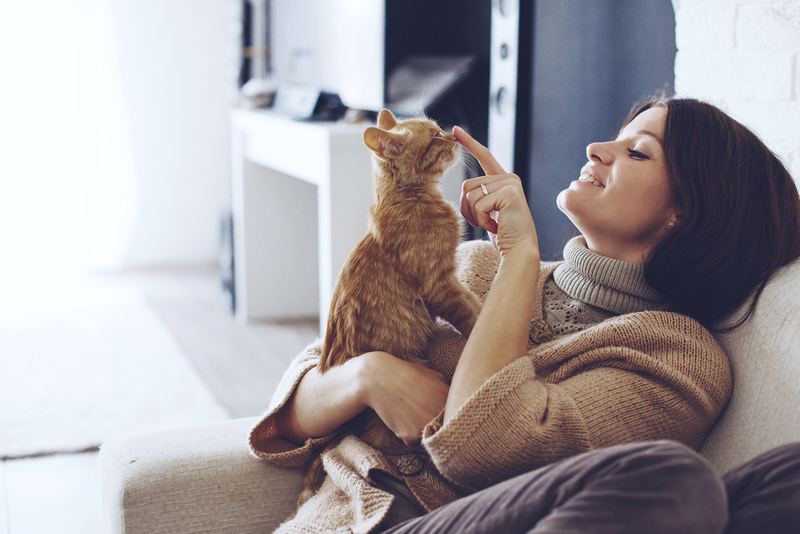 If you're a cat owner in the Bloomington area, Fairway Knolls Veterinary Hospital will help you get the care your cat needs in order to grow up strong, stay healthy and avoid illnesses. Our veterinarian, Dr. Tatro, has decades of experience caring for cats and keeping them healthy. Wellness care is an important part of cat care. Wellness exams help keep your cat healthy by enabling Dr. Tatro to catch diseases in their early stages. During wellness exams, Dr. Tatro will check your cat's skin, teeth, eyes, mouth, ears, coat, breathing and heartbeat. He'll also take samples of your pet's blood and feces. If Dr. Tatro finds evidence of an illness or condition affecting your pet, he'll make a diagnosis and give recommendations for treatment. Most cats need wellness exams once each year, but some cats need wellness exams multiple times each year. Dr. Tatro will let you know when your cat needs a wellness exam, and on what schedule. Older cats and cats that suffer from chronic health conditions may need wellness exams twice annually. At Fairway Knolls Veterinary Hospital, we track your pet's vaccination schedule. If we notice that your cat is overdue for a vaccine or booster shot, we'll remind you that your pet needs a shot. This will help you get your cat the care he or she needs at the right time. Dental examinations and cleanings- Dr. Tatro will examine your cat's teeth for plaque, and will remove plaque as it develops on your cat's teeth. Cavity fillings- Dr. Tatro will fill your cat's cavities, which will help prevent tooth aches and will also help your cat avoid infections in the teeth and gums. Tooth extractions- At Fairway Knolls, we perform tooth extractions when your cat's tooth is infected. This can help stop the spread of the infection and can also help rid your cat of pain. Cats are vulnerable to fleas, ticks and mites. At your Bloomington veterinary hospital, we can help your cat avoid this kind of problem, and if your cat is affected by fleas, ticks and mites, we can help rid your cat of these pests and other parasites.